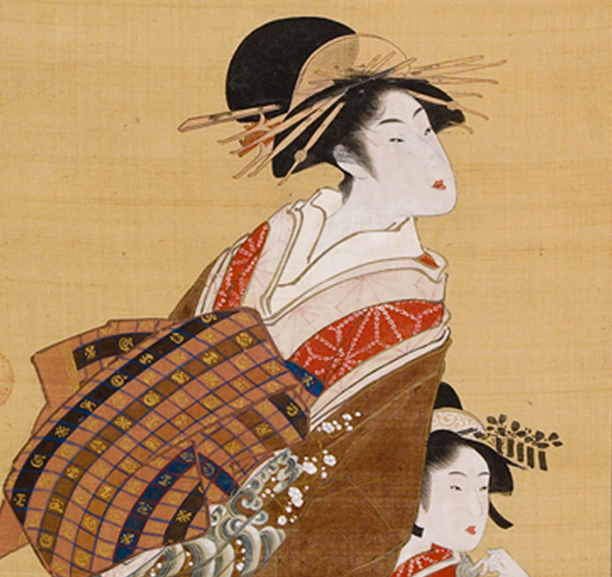 Much like how Kabuki actors passed their names to rising young stars chosen to take their places, courtesans’ names were also sometimes carried on within brothels, as a way to indicate a pedigree of beauty, cultural achievement, and desirability. 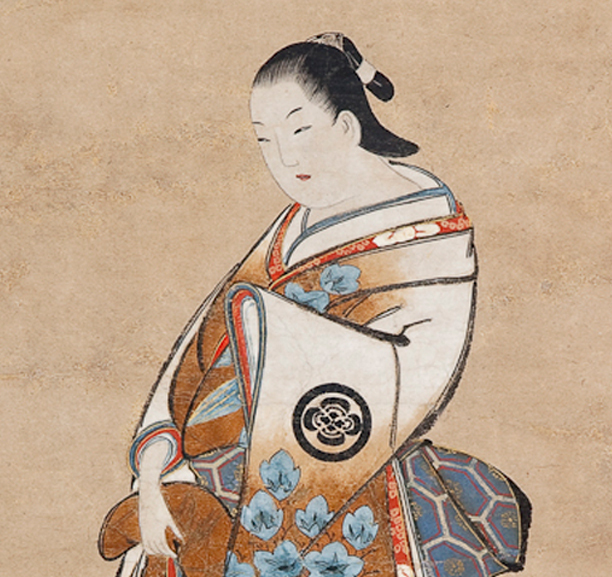 Such was the case with the name Takao, for multiple courtesans took this name, with the second Takao (1640–1659), who died ten years before this painting was produced, being one of the most famous. 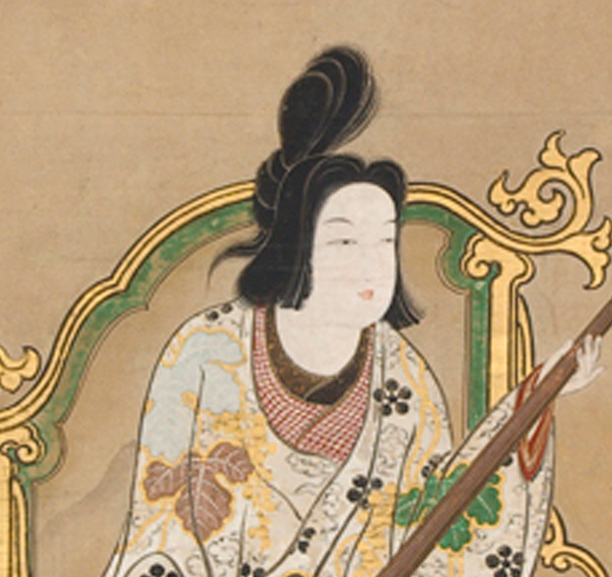 Her fame stemmed from her seduction of powerful men, as well as several scandals in which she became embroiled, and the fact that she met her demise at the hands of one of her conquests. 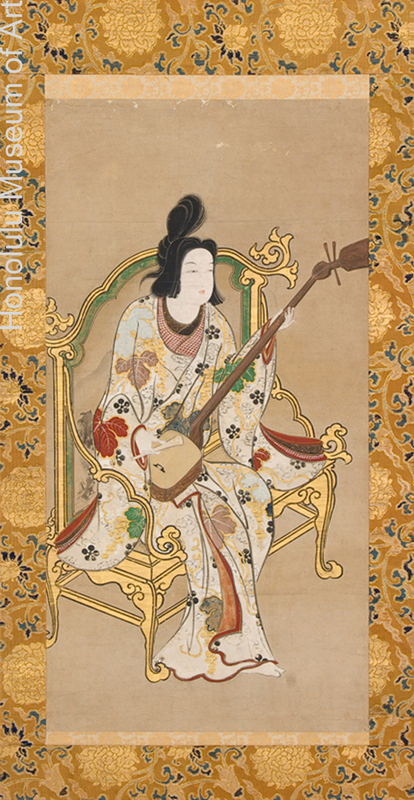 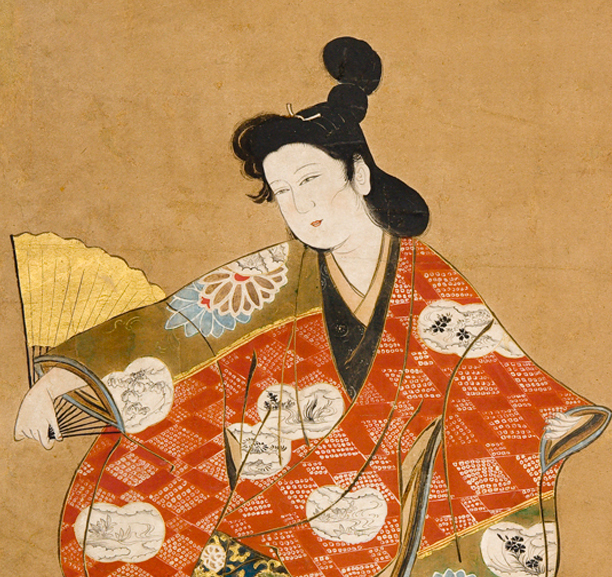 Her infamy was such that she was occasionally depicted in Kabuki plays showing how the theatrical world and the world of the courtesan could sometimes mirror one another.